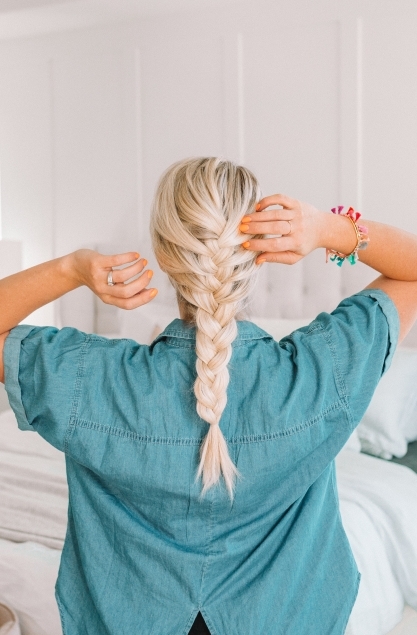 Welcome to DAY ONE of our Learn How To Braid Challenge! Guys, I’m so excited about this. 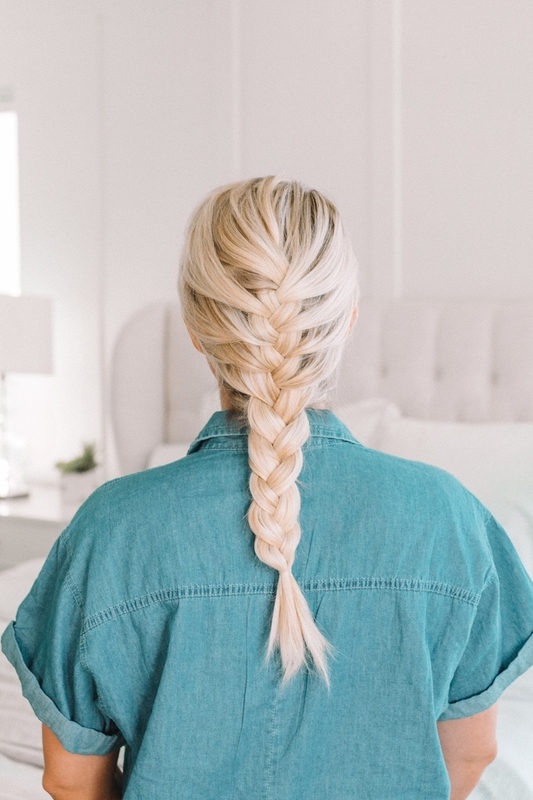 If you already know how to braid, this challenge is STILL for you. 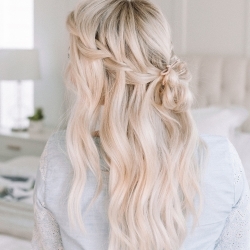 So often we get into this rut of wearing our hair the exact same way and I totally get it, life happens. 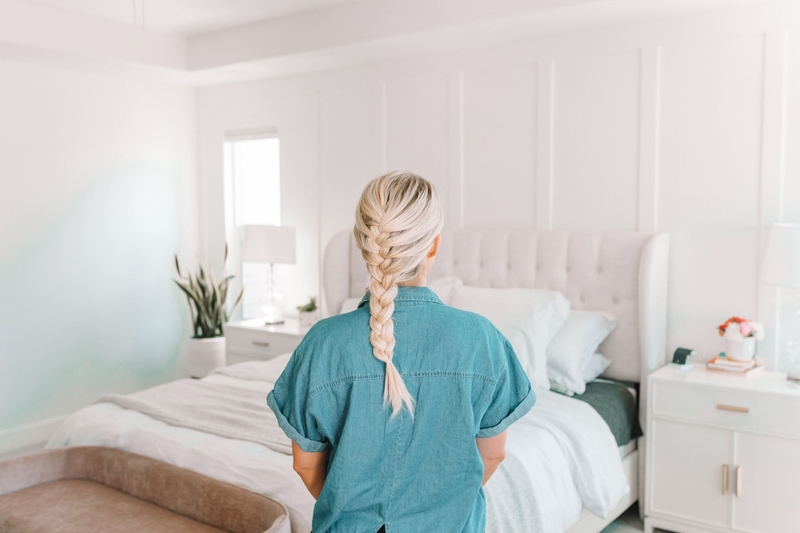 We get comfortable with a certain style that’s fast and easy and we wear it over and over and over again. And that’s not bad!!! 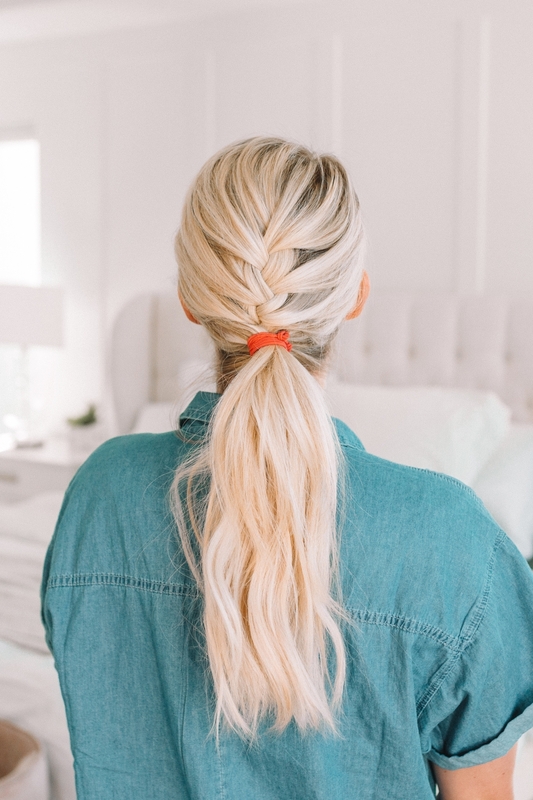 But this month, I want to challenge braiders and non-braiders alike to get out of their ponytail rut and get creative with their hair! 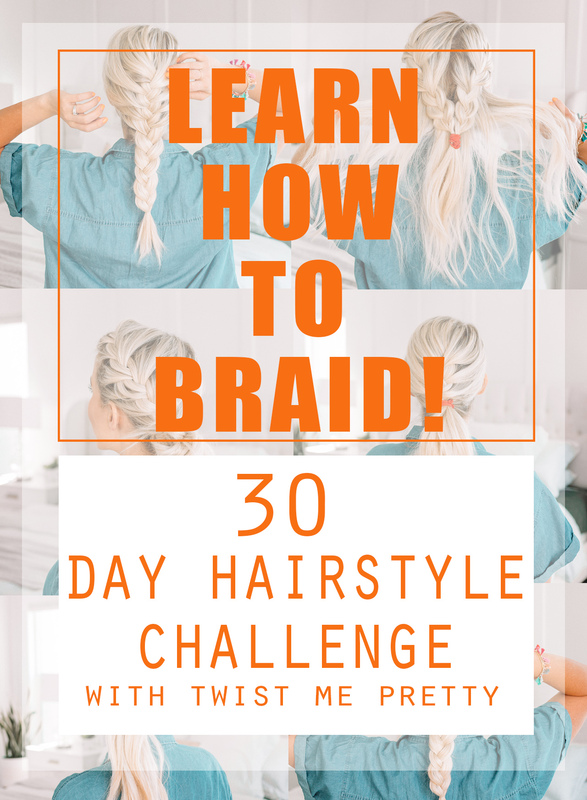 This hairstyle challenge has been designed to teach the fundamentals of braiding!!! 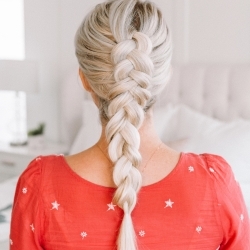 Can’t braid? This challenge is going to help you!!! 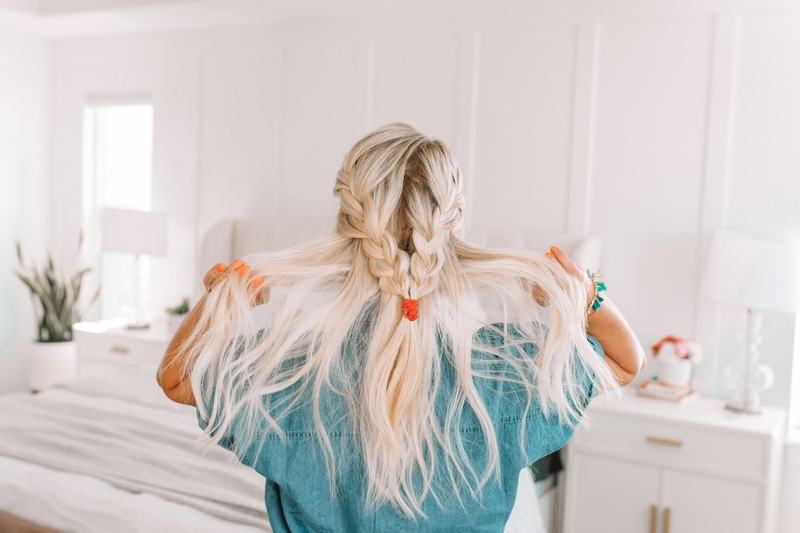 It’s going to build on itself so that by the end of it, you’ll be an expert on all the braids and all those gorgeous styles you see all over Pinterest WILL BE YOUUUURRRSS!!!!! Haha and we wonder where Savy gets her theatrics. 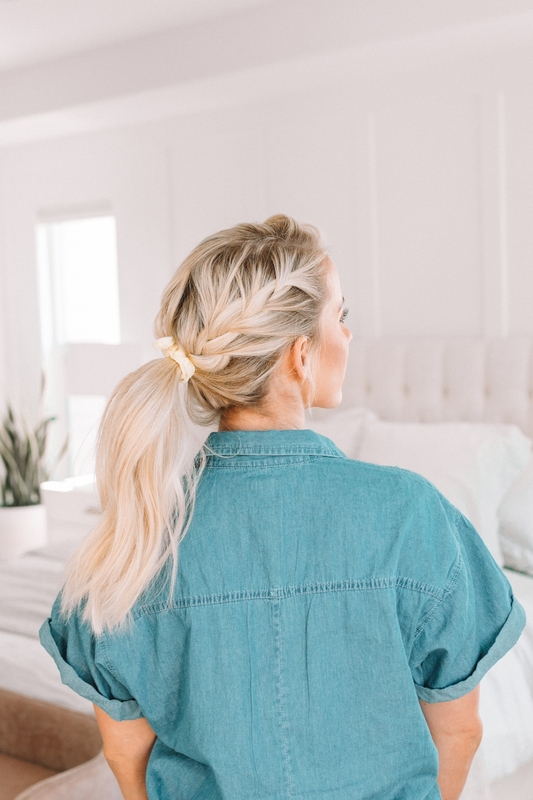 Today I’m teaching you how to french braid and throughout the rest of this week we’re going to work on different french braided hairstyles together. 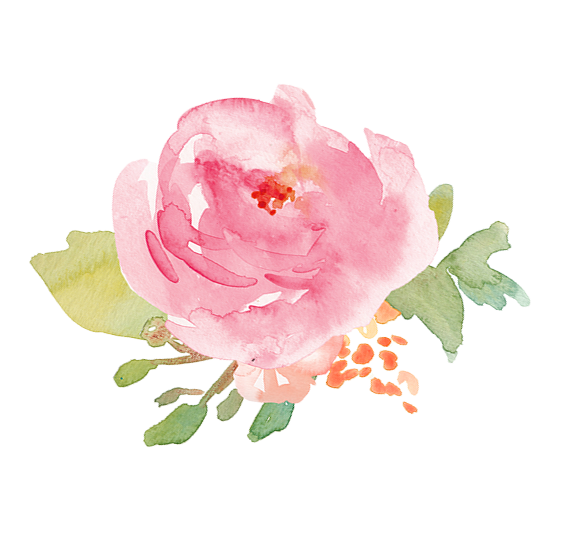 I’ve rounded up my very favorite tutorials and compiled inspiration + tips and tricks in my newsletter. I’m not sure how long this challenge will stay free, it’s taken a GIGANTIC amount of work to prepare everything!!!! 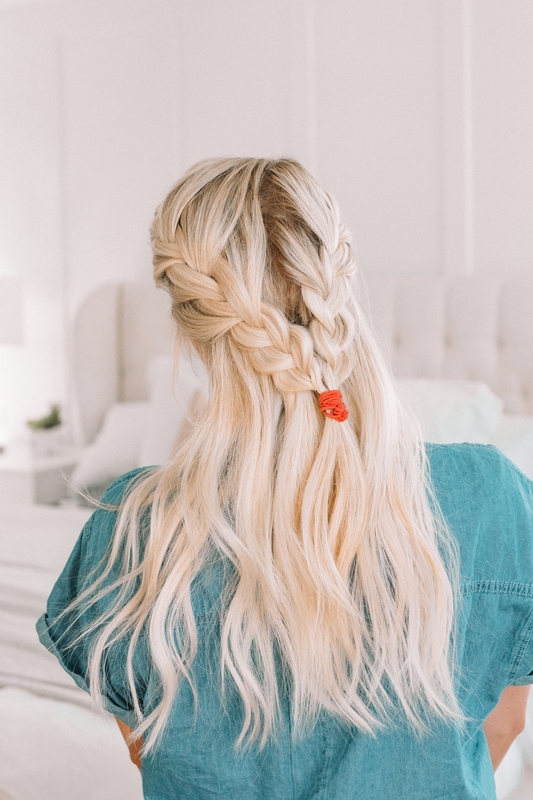 So subscribe to the newsletter RIGHT NOWWWWWW and I’ll send you an email every night of the hairstyle we’ll be working on the next day! 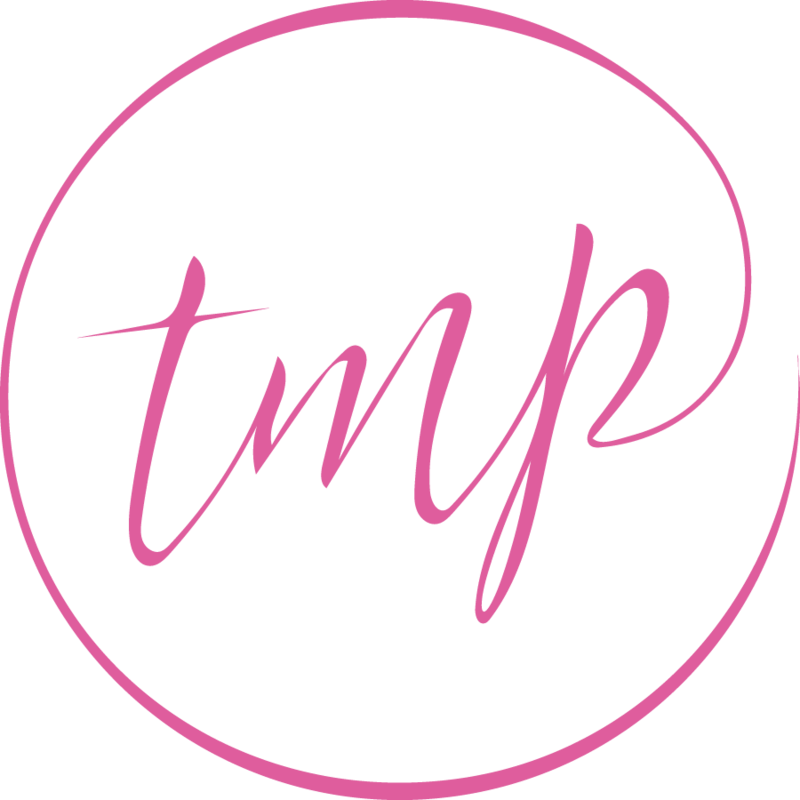 The hashtag we are using is #30in30twistmepretty. I want to see what you’re creating! Throughout each week I’ll be selecting winners who are participating and sharing pictures and I’ll send them all a huge basket full of my favorite hair supplies. My favorite bobby pins and elastics, hairspray, shampoo and conditioner, honestly anything that I’m currently loving!!! So do this with us, it’s free for now and you have NO EXCUSE not to! Just commit. Sign up for my newsletter so I can send you the styles and COMMIT!!! 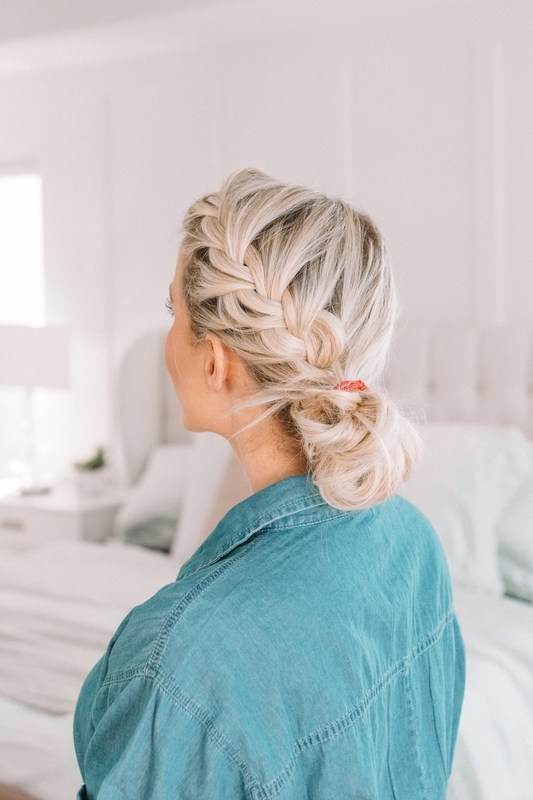 THE FRENCH BRAID: This was the first braid I ever learned how to do. It’s SUPER simple but if you’ve struggled with it in the past you’ve probably got a different opinion! In this tutorial you’re gonna learn how to do it. I want you to look away from the mirror and do exactly as I say. You’re going to repeat the steps over and over and just concentrate on the braid, not worrying about what it looks like. 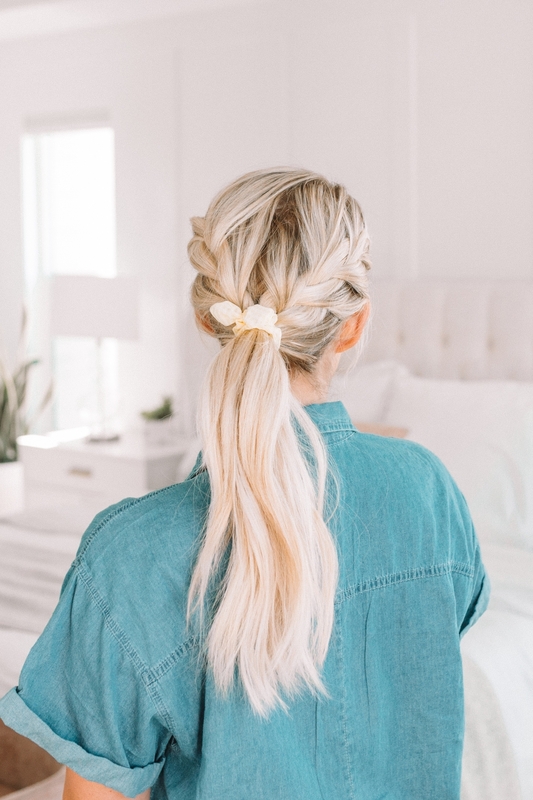 Once you’re familiar with the steps and know how to french braid, then you can get creative with different ways to wear it. 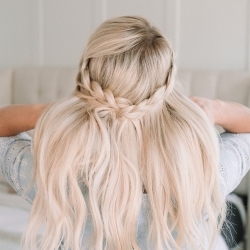 I think the easiest way to learn the french braid is in this hairstyle below. It’s behind your head so you can’t see what you’re doing and that’s exactly what we want!!! I’ve spent A TON of time putting all of this together so if you love what we’re doing here, invite your friends and family to do it with you! 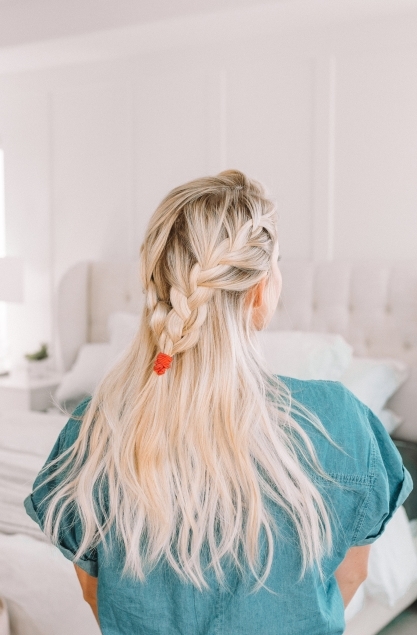 You can also pin one of these hairstyles to your boards on Pinterest. Love you babes and don’t forget to sign up for the newsletter below!